How Much Paint Do Melanie and Joey Need? Melanie and Joey need help figuring out how much paint they need to paint their room blue. Below is a 2-d layout of the room with all the dimensions marked. 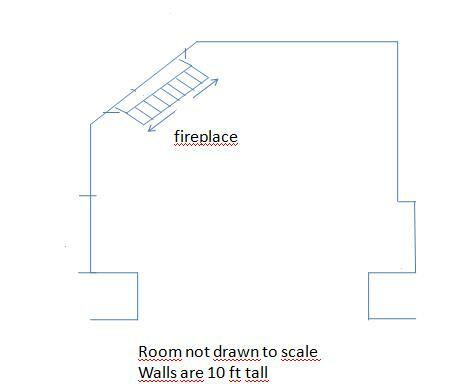 Using your new knowledge regarding how to find area of various quadrilaterals, determine the square footage of the room. If a gallon of paint covers 400 square feet of wall, how much paint will Melanie and Joey need for their room? **Shaded areas will not be painted. Do not use them in your computations! **If you need to refer back to any of the worksheets click here. **Drawing is not to scale.